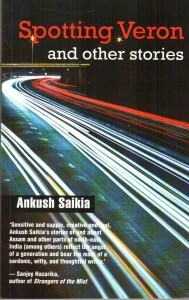 “Spotting Veron”, the title story in Ankush Saikia’s collection, Spotting Veron and other Stories, really begins with its last sentence. To put it differently, the narrative curve of the story is like the symbol of a snake curling round to eat its tail. What the last sentence does is to light up the various dimensions of the story. The story can be summarized in one sentence: it records the 40-plus hour journey of the narrator from Shillong to Delhi by taxi and train. What cannot be summarized: the thoughts of the narrator about the passengers who board and disembark at various cities; the narrator’s reaction to what happens during the long journey. 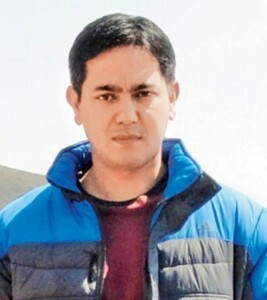 The three flashbacks of his stay in Shillong, as well as references to his feelings of unease and unexplainable irritation, help to fill in the background and personality of the narrator. This story was entered – and shortlisted – as a travel piece in the Outlook/Picador-India non-fiction competition in 2005. Yet it reads wonderfully well as a short story. The reason: the element of suggestion gives depth to the story. The author rightly depends on the reader’s sensitivity to fill in the blanks. Suggestion in fact is what characterizes each story in the collection and gives it its power to move. This is strikingly evident in a story like Two Ending. In just two and a half pages, Saikia recreates the atmosphere of fear and lawlessness that characterized the movement, in the late sixties and seventies, in the Khasi Hills, particularly in Shillong, demanding the ouster of dkhars (non-tribals) and the creation of a separate state. By the time we come to The House in Laban, a separate state has been created, lawlessness has been put down, but the remnants of anti-dkhar feelings linger on. The story relates the nostalgia experienced by a Bengali young man, Siddhartha, who is sent from the Gurgaon call center of a U.S. based company, to recruit “callers” from the Northeast since youngsters from here “were supposed to speak English well and have a ‘Western outlook’ ”. Siddhartha grew up in Shillong and regards it as home. He looks forward to the five days he’ll spend here. In between interviewing the candidates, he catches up with his school mate, Daniel. They drive round his old haunts in town and drink. He swings by the house in the locality called Laban and is saddened to see that the color, light green, which held memories of his parents and his early years, has been painted white. He has been symbolically wiped off, forgotten. On Saturday Daniel arranges a picnic with his girlfriend, Christine, another friend, Tony, and Tony’s cousin Gabriella who lived and worked in Delhi for two years before returning home. Riding on the euphoria created by the picnic, Siddhartha invites his friends to the hotel’s disco where they dance and drink. Siddhartha is drawn to Gabriella and he considers making a life with her here. A lot of skeins of his past and present life are woven skillfully in the narrative of his stay in Shillong. He remains in touch with Seema, his girlfriend in Delhi (who represents the future just as Gabriella draws him to his past). He is aware of the difference in the honesty of his thinking of himself as one of “them” and the reality of being seen by them as a dkhar. A House in Laban is a multi-layered story that examines an aspect of the eternal theme of home and belonging. This story would be my selection for an anthology of Indian Short Stories in English, 2000-2010, if one were proposed. Gabriella and Daniel turn their back on the rat race represented by the big cities and return to the relaxed life style of the hills. Robert the protagonist of Caught Somewhere in Time never leaves Shillong. A promising musician, he chooses to marry, live with his wife’s family and work as a petty clerk in a government office. Where Siddhartha, at the end of his assignment is promoted, Robert has to succumb to bribery to make ends meet. This story introduces one of the unique features of Khasi society, the matrilineal system, under which the children carry their mother’s family name, women rule the roost and the youngest daughter, not one of the sons, inherits the family property. In fact, the Khasis and Garos of Meghalaya are the largest surviving matrilineal group in the world. The Nairs and Mappilas of Kerala are the two other matrilineal groups in India. Robert exemplifies the negative, the demoralizing effect of this system on males. The name of the school boy in The Test is also Robert. Robert forgets that he has to prepare for a test. He cheats during the test, is sent to the principal’s office, where he is caned. The story carries cameos of an outdated but effective form of discipline and also the effect of an easy going way of life on men. The Dog at the Wedding, set in Meghalaya’s neighboring state, Assam, is a serio-comic study of adult behavior during the preparation leading up to a wedding. A stray dog is responsible for the pathos as well as the gentle satire. Jet City Woman is a sort of video shoot of the uninhibited life style of the rich and the well-known in and around Delhi who know no limits to every conceivable form of indulgence. 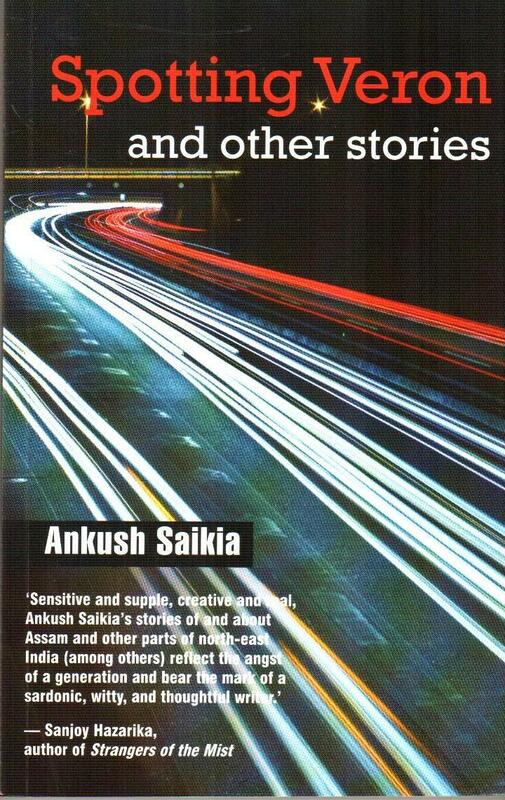 Close observation of human nature and social commentary combine in an unobtrusive manner in writing informed by sensitivity and suggestion in Ankush Saikia’s collection of short stories. The cultures of the North East are very different from those of the rest of India. Mainland India has a distorted view of this corner of the country and its inhabitants. A corrective is long overdue. Fiction best conveys culture. We have our fiction writers in English, our Siddhartha Debs, Janhavi Baruas, Dhruba Hazarikas, Temsula Aos and Mamang Dais. But they alone are not enough. Ankush Saikia, having lived and worked in Delhi and other parts of the world, has the experience and objectivity to observe from both banks of the river, as so much in this collection and in his 2007 debut novel has demonstrated. In brief, Ankush Saikia has the outlook and writing skills to serve as a literary bridge. A unique opportunity is his for the taking.